Countless children are identified as victims of trafficking at hotels or on airlines across the globe. As a responsible traveler, you can help stop child trafficking in its tracks. Find out what to look for and what to do if you suspect trafficking. 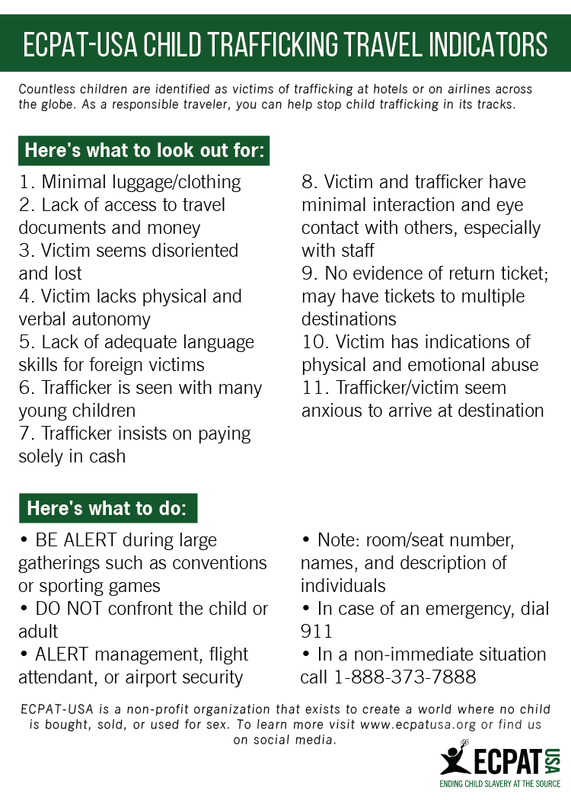 Download our child trafficking travel indicators card.